Q: I'd like to purchase some land with my boyfriend, are there any things you think I should be aware of? A: I'll answer this question in two parts: Joint Tenancy and Tenancy in Common. Jus Accrescendi (the right of survivorship) is the most important difference between a Joint Tenancy (JT) and a Tenancy in Common (TC). Survivorship means that when a Joint Tenant dies, his/her heirs have no claim in the property because the property is left for the surviving joint tenants ONLY. This is because of the Four Unities concept that is essential to show interests in land. Time - Interest of each co-owner must be acquired at the SAME time. Interest - Each co-owner must plan to have interest for the same extent, nature and duration. Title - Each co-owner must have derived ownership from the same document... ONE deed. Possession - The land must not be divided. Each co-owner must be equally entitled to the whole of the property. If the Four Unities are not all present, the interest cannot be held as joint tenants, but may be held as tenants in common, provided that there is unity of possession. In Trinidad and Tobago a Joint Tenancy can be severed (ended) in three ways, identified by Page-Wood V-C in Williams v Hensman (1861) 1 John & H. 546, 557-558; 70 ER at p. 867. It must be a present -not future- intention to sever. This method involves destroying one of the four unities: possession, interest, title or time. The standard way to do so was unilaterally to assign one’s interest to trustees, or to sell or mortgage one’s interest. 2. A joint tenancy may be severed by mutual agreement by all co-owners. 3. There may be a severance by any course of dealing sufficient to intimate that the interests of all were mutually treated as constituting a tenancy in common. Q: With the rate of crime being linked to a lack of educated youths in T&T, is there anything to make parents responsible if they don't ensure that their child/children are educated? A: As a matter of fact, there is. 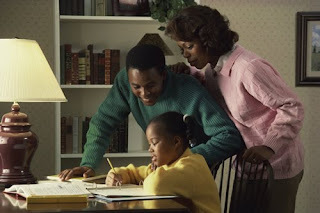 By law, all children of compulsory school age (5 to 16) must receive a suitable full-time education. As a parent, you have a legal responsibility to make sure this happens - either by registering your child at a school or by making other arrangements to give them a suitable, full-time education. Once your child is registered at a school, you are legally responsible for making sure they attend regularly. If they do not, you SHOULD be contacted by your child’s school or the local authority. Local authorities have a duty to step in if they believe a child is not getting the education required by law, either at home or at school... but as always, in Trinidad & Tobago, no one cares! "... it shall be the duty of the parent of every child of compulsory school age to cause him to receive EFFICIENT full-time education suitable to his age, ability and aptitude, by regular attendance at school." When the government starts taking this seriously, we'll have more educated children who won't be interested in gangs to go about robbing, kidnapping and murdering people without remorse. Laptops and new schools aren't the answer if the parents aren't held responsible for their children. In Trinidad and Tobago, many parents don't send their children for lessons, help them with homework or even keep in constant communication with Teachers (Parent/Teacher Meetings). This is ESPECIALLY important during secondary school when the negative influences become palpable. I'm sure the 2010 Scholarship winners had the full support of their parents. I attended Richmond Street Boys, Rosary Boys (for lessons) and St. Anthony's College and all my Teachers knew my parents very well! Update: Unfortunately, the Officers received a TT$1,000 increase subsequent to this threat. Q: I read this ridiculous article this morning and I want to know if they can do this? A: The short answer is yes. They can't go on strike, but a work-to-rule means that they're doing their work, albeit the BARE minimum, which, in my opinion, they already do. I just cannot fathom why, at a time when the country has no faith in the TTPS, they decide to ask for a pay raise. How many times can we say that the police have fulfilled just these two essential duties? 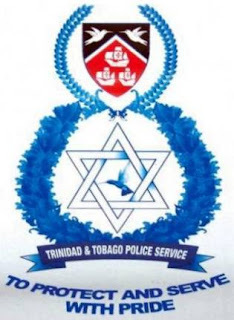 With a salary in the vicinity of TT $8500 a month for a Constable (the lowest ranked officer), they make more money than many Trinbagonians and don't work as hard. There are many instances where officers don't show up when called, arrive late, give the excuse of no cars or no officers, ridicule people who go in to make complaints, abuse their power by assaulting the citizens they've sworn to protect and of widespread corruption. This article on 20/08/2010 highlights the incompetence of our Police Service, yet they want tax payers to pay them more for less? The only places we go and pay more for less is at very fancy restaurants and that's because the service is usually top class. The UK police made similar threats in 2006 and 2008, but the fact that they are committed to their duties, the threats never materialised. However, they ultimately received a pay raise of approximately £500 a year.